The good people at Kraft sent me a free samples of their latest product. MiO, yes that is a capital M and O. It reminds me of the formating of H20, which would make sense since it’s a water enhancer. This is not a ground breaking category of additives to the water world. 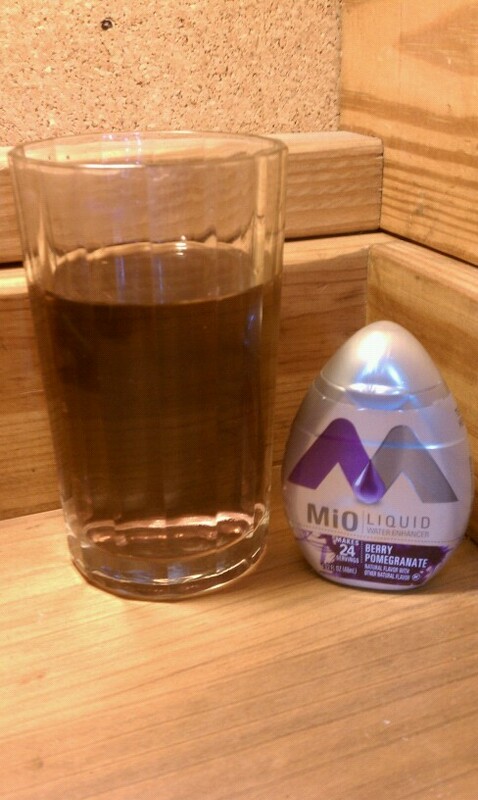 Tang, Koolaid, Crystal Light, the only difference is that MiO is liquid. Being liquid though does have its advantages, the control on the product is much better than powder, it has the ability to be easily stored in a portable container it comes in, and lastly no stirring clumps. The drawback is that on the run this 24 serving container can be hard to measure amounts of product to water ratio producing a different result each time. The color is a light pinkish purple on my test where I followed directions found on the side of the bottle. One squeeze per every eight ounces of water. Not quite a exact science I gave it a quick squeeze. The smell is like a artificial berry or grape aroma. The first taste I was hoping for a nice balance between sweet and sour. What I got was a highly sweet blast from sweeteners, a drying effect in my mouth, a thick coating of flavor on my tongue, and regret. It was not what I expected at all, you would like to think that for $4.00 a bottle you would get at least a flavoring with some real fruit juice in it. But reading the back of the label I see that is not the case and it shows. Overall I like the design and idea, mainly the flow control top and secure cap, of MiO, but it misses on a few important marks and still stains like a mother if you get it on anything lightly colored. I like the design and idea too. It’s selling like crazy at Target.